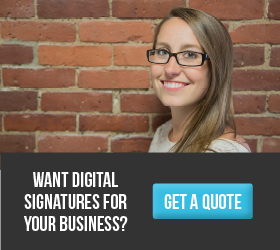 SIGNiX's digital signature product, MyDoX, is perfect for businesses of any size that want to start getting documents signed online right away. You can access this cloud-based software on any computer or mobile device. There’s nothing to download or install, so implementation is quick and easy. 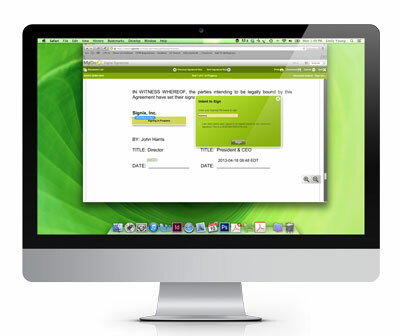 With MyDoX, you can easily prepare documents to be sent using a simple drag-and-drop menu. You can mark where to sign or initial, add form fields to collect data, add recipients and customize your workflow in minutes. You can also create document templates so you can easily reproduce transactions you use most often. SIGNiX makes life simpler for you and for your customers. 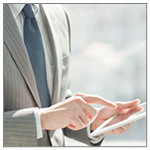 With MyDoX, your customers can sign documents online, on a mobile device or even face-to-face. Your customers will love being able to do business with you no matter where life takes them. 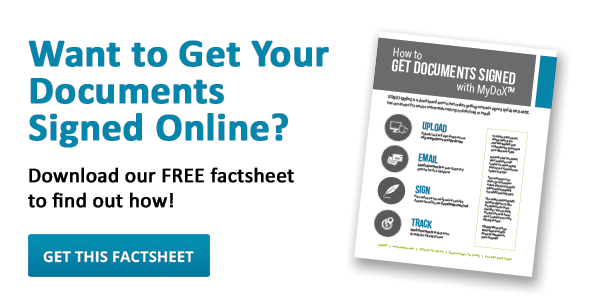 Tired of wasting time trying to find documents you've sent out to be signed? With MyDoX's document tracking, you can locate your documents every step of the way. MyDoX also sends out automatic reminders to your signers if they forget to sign your documents.